WORLD’S BIGGEST NUCLEAR FUSION REACTOR ITER NOW 50 PERCENT COMPLETE—LIMITLESS CLEAN ENERGY BY 2040? The world’s biggest fusion reactor is now 50 percent complete, with experts now estimating it will be ready for its first stage of operation in December 2025, with the first power plants up and running by 2040. Fusion energy—the same process that powers the sun—potentially offers near limitless clean energy. If scientists can find a way to harness this source, it could provide enough electricity for millions of years. But creating machines that can produce fusion energy is no easy feat. To create it—by fusing two lighter atomic nuclei to form a heavier nucleus—you need to create a plasma hotter than the sun that can be stably confined with magnets. Scientists have not yet been able to generate more power from the fusion reaction that takes place than it takes to create the reactions in the first place. The International Thermonuclear Experimental Reactor (ITER) project looks to change all that. Consisting of 35 nations—members of the European Union, China, India, Japan, Korea, Russia, and the U.S.—the reactor, known as a tokamak, will be the most complex machine ever built, consisting of over one million different components. 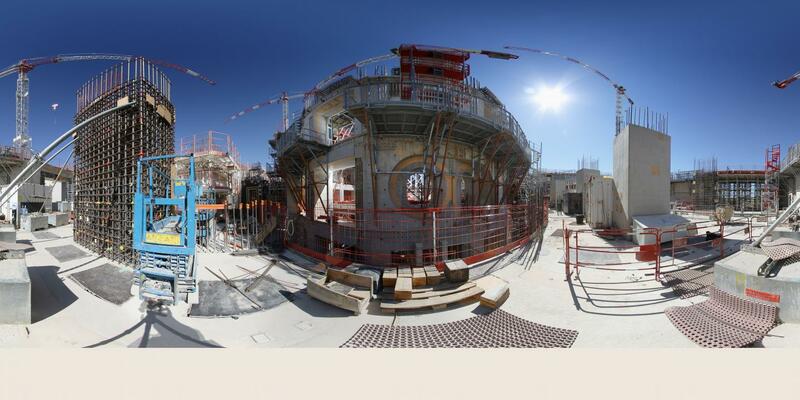 The ITER is now 50 percent completed and is on schedule to produce fusion power by 2025. It will have to sustain temperatures of 150 million degrees celsius. The 1,000-ton electromagnet that sits at the center of the machine will have to withstand forces of over 6,000 tons—equivalent to twice the thrust of the Space Shuttle at take off. Should it be successful, the ITER, located in France, would prove that fusion energy on a commercial scale is a possibility. That it is now 50 percent complete marks a landmark step in its construction. 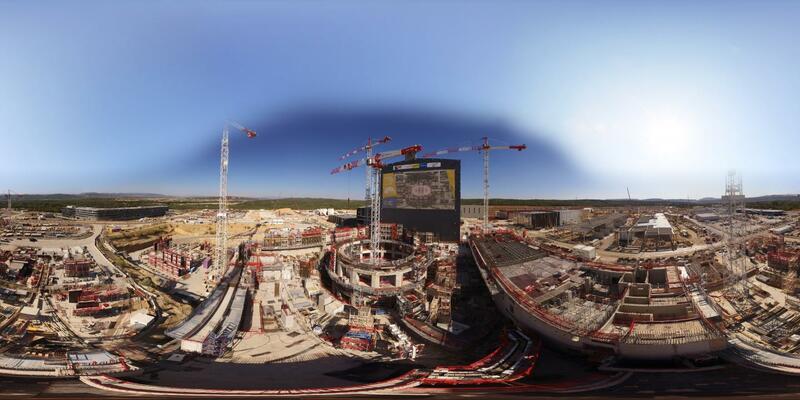 “The stakes are very high for ITER,” Bernard Bigot, Director-General of ITER, said in a statement. “When we prove that fusion is a viable energy source, it will eventually replace burning fossil fuels, which are non-renewable and non-sustainable. Fusion will be complementary with wind, solar, and other renewable energies. Once completed, each of the participating nations will have equal access to the intellectual property and innovation that comes from building the ITER, meaning each can then go on to build reactors to create their own supply of fusion energy. The building and operating costs of a fusion power plant is expected to be comparable to a nuclear fission plant—but without the risk of a meltdown and the problem of having to get rid of radioactive waste. Site in the south of France where the ITER is being built. ITER leaders say fusion power plants should be a reality by 2040, but say this will largely depend on political support of the project, which has—so far—been promising. “When the ITER Agreement was signed in 2006, it was strongly supported by leaders such as French President Jacques Chirac, U.S. President George W. Bush, and Indian Prime Minister Manmohan Singh,” Bigot said. “More recently, [French] President Macron and U.S. President Donald Trump exchanged letters about ITER after their meeting this past July. One month earlier, President Xi Jinping of China hosted Russian President Vladimir Putin and other world leaders in a showcase featuring ITER and fusion power at the World EXPO in Astana, Kazakhstan.